For your FREE CO2X Account! Sign up for our mailing list to receive regular CO2XChange updates. An acre connected to me? Welcome to The CO2Xchange, the most EFFECTIVE carbon program in the world! Welcome to The CO2Xchange … a unique personalized way to cover your CO2 footprint! Agriculture is the only landscape that man has the alibility to manage to reduce emissions. Farmers are "carbon managers"; their crops remove CO2 every day and convert it into food and plant organic matter via photosynthesis. Bio-Agtive™ farmers can drastically reduce fossil fuel inputs and go Beyond Carbon Neutral to grow food. An acre of land is about the size of a football field and 1 acre of wheat will absorb 5+ tons (10,000 lbs) of CO2 as it grows. The average Canadian, American and Australian can produce 40,000-50,000 lbs of CO2 each year, a farmer needs to grow about 4-5 acres of wheat annually to cover the carbon footprint of one average person! There is only 6 billion agricultural acres in the world and the world population has reached 7 billion. 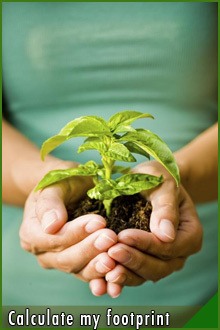 We all have a carbon footprint… wouldn’t you like to convert your carbon into food security for those in need? Plant your crop today with CO2X and absorb your CO2 for the year, help create the education and food that will change the world and get a return from your crop invest! Learn more by clicking the "Consumers" link above! Boreal Forests Not That Green!